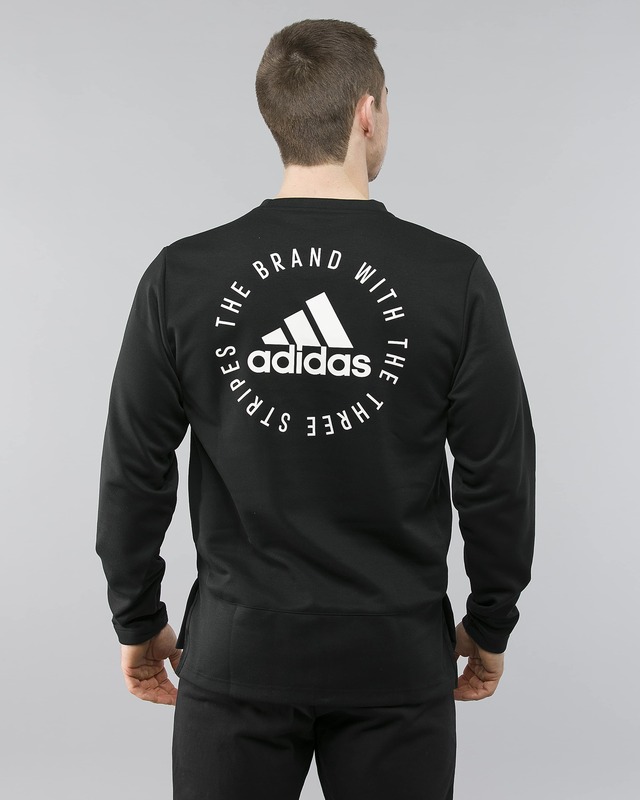 Showcase your loyalty. 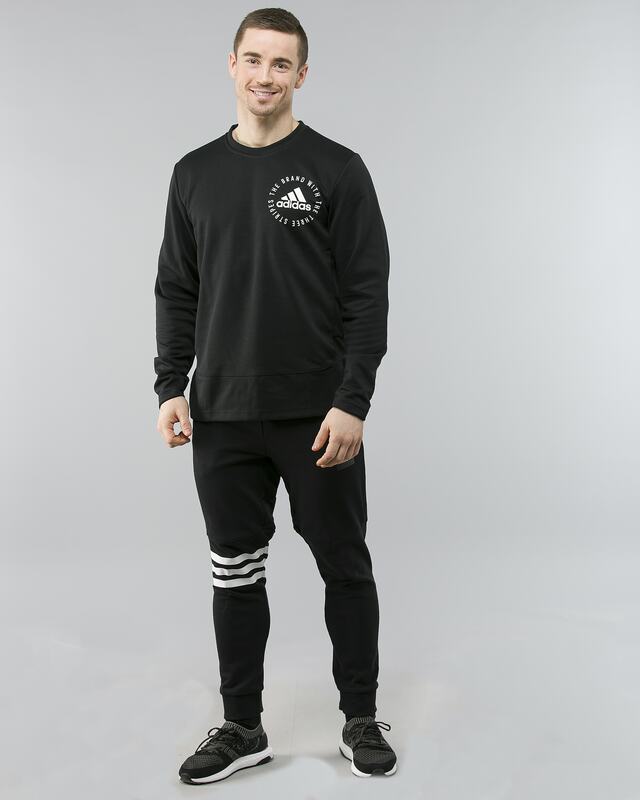 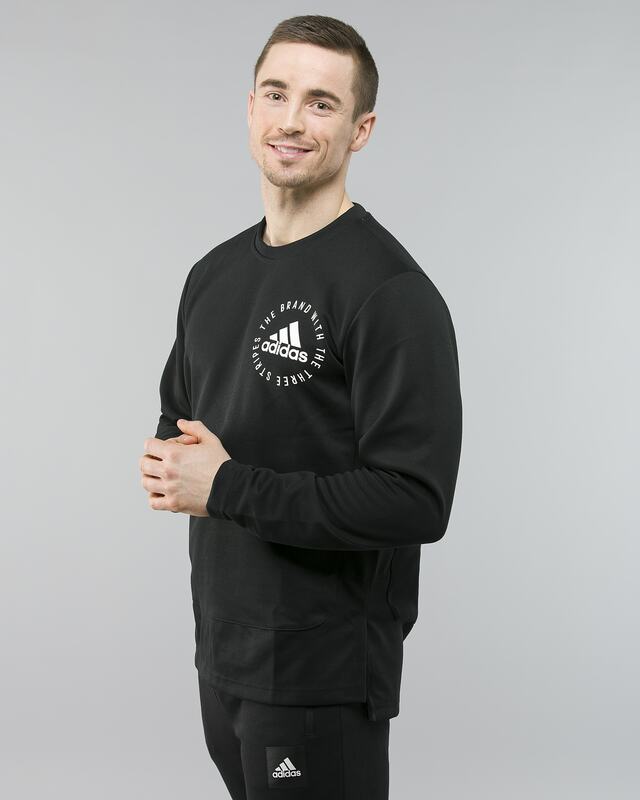 This sweater features a contrast «The brand with Three Stripes» graphic on the chest and back. 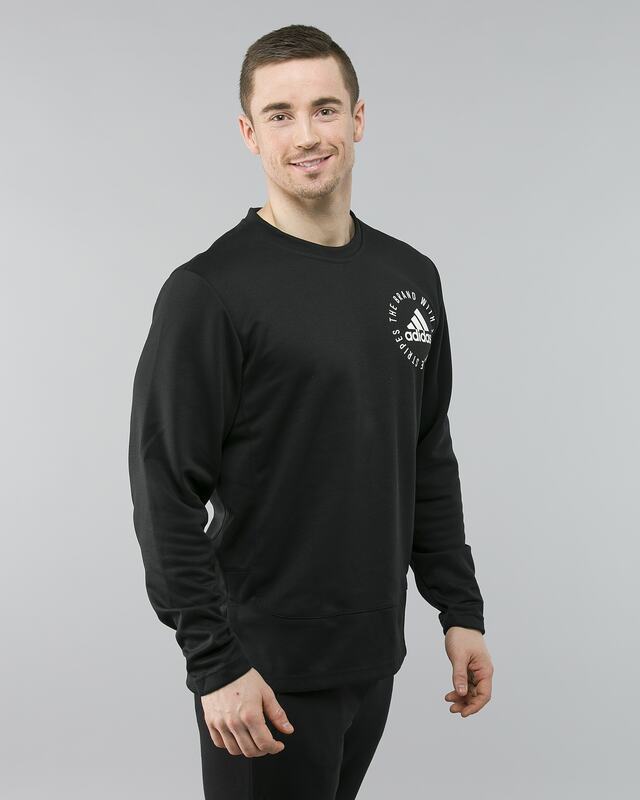 Built with soft doubleknit fabric, the pullover has side slits at the hem for comfortable movement.